The owners of Palmetto Gin have made the decision to exit the cotton ginning business, as their overall operations going forward are changing focus. 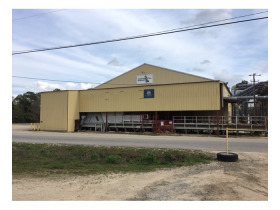 We are pleased to offer the assets of Palmetto Gin Co. in Bishopville, SC for sale at auction. This auction will feature, offered individually, or combined, gin machinery, module trucks, real estate, cottonseed storage facilities, and more! The real estate totals nearly 20 acres of land in town in Bishopville, SC.  Lot 97: includes two tax parcels, 030-06-00-351 and 030-06-00-509. This is the site of the old gin and oil mill, and includes the cotton warehouse (currently licensed for 6000 bales), Muscogee house and seed tank, and two large grain/seed storage tanks. Other than the warehouse, this site has not been operated in several years and will require work to be operational. This site has frontage on Durant Street, Nettles Street, and Cotton Street, and has a long rail frontage. Approximately 9.9 acres, per tax maps. Lot 98 is a tax parcel 030-10-360 with frontage on Gregg Street, and railroad frontage. This also has a dwelling which is uninhabited (poor condition) and has a city water supply used by several area farmers to fill tanks. Approximately 1.4 acres, per tax assessor. Lot 99 is the office tract, parcel # 030-10-167. This Lot includes a spacious office building, truck scales, and railroad frontage, and is located on the corner of Gregg and Lee Streets. Approximately 2.67 acres, per tax assessor. Lot 100 is the gin tract, parcel # 030-10-359, and includes the gin building, large quonset seed storage building, large metal buiding (needs repair) and a smaller quonset building (currently used as parts room/shop.) Approximately 6.6 acres, per tax assessor. NOTE: Lots 97-100 do not include the ginning machinery currently located within the building in Lot 100 or rolling stock that may currently be on any of the parcels. You may combine real estate with any or all of the machinery lots for bidding purposes. Lots 101 and higher are the various gin machines and rolling stock. The cotton gin is a "split 96" design and features a CrustBuster module Feeder with Lipsey round bale flipper, Samuel Jackson drying components (Moisture Mirror 2X, 1208 heater, 1408 heater), 96" Big J. Feed Control, Split 96" Continental pre-cleaning, 2-Continental 141 Double Eagle gin stands, 2 Continental 93 Double Eagle gin stands, 4-96" Continental 16-D lint cleaners, 4-66" Moss lint cleaners, Continental 730 up-packing press with hydraulic pusher, tramper, Jenglo, and all fans (mostly Kimbell), dust control and other assorted machinery, including rolling stock of module trucks, forklift, loader, etc. Other times by appointment with Rafe Dixon. Call (803) 774-6967. Seller will consider pre-auction offers for the entire gin! Online bidding will open 4/19/17 and close on 4/26/17! Inspection of all real estate and equipment may be made by appointment! 1. All property is sold “AS IS, WHERE IS”. No warranty is expressed or implied. 2. A Buyer’s Premium of 10% of the high bid amount will be added to the high bid, the total of the high bid plus the buyer’s premium will be the purchase price. 3. Each “lot” is offered individually, in combination with other lots, or in its entirety. The equipment, rolling stock, parts and tools are offered separately from the real estate or may be combined with the real estate. The configuration that produces the best result for the seller will determine how the property sells. 4. J.R. Dixon Auction & Realty, LLC has sole authority to resolve any bidding disputes as they may arise. Other times by appointment with Rafe Dixon. Call (803) 774-6967 or (803) 983-0179. 6. Auction end time: The auction will begin closing at 2 PM, Eastern Daylight Time. This auction will have a “dynamic close”. Any bid placed within 10 minutes of the advertised end time will automatically extend the bidding for 10 minutes. The auto extend dynamic close will remain active until such time as no further bids are received on the properties. J.R. Dixon Auction & Realty, LLC reserves the right to adjust the auto extension time period. 7. Bidder Registration: Bidders register online. A credit card is required for verification. Approval will be manual, and an Auction Company representative must speak with you prior to approving your registration. Please register early in order to be approved as a bidder. 8. Terms of sale: 10% Buyer’s Premium will be added to the bid price on all lots to determine the sales price. Example: High bid is $100,000; the Buyer’s Premium of 10% is $10,000; the total sales price will be $110,000. A)	Equipment sold separately from real estate-payment in full will be due via cashier’s check or bank wire transfer within 24 hours of auction closing. Invoices will be sent with bank wire instructions. 9. Real Estate-any equipment sold in combination with the real estate on which the equipment is installed or located will be combined into the real estate contract. The real estate contract will be sent after the conclusion of the auction. Terms for the real estate contract are: $10,000.00 per tract non-refundable deposit due in cashier’s check or bank wire within 24 hours of auction ending, and the remaining balance due at closing which shall be on or before May 31, 2016, time being of the essence. Seller will pay for deep prep, deed stamps, and property taxes prorated to date of closing. All other costs are for buyer’s account. See the full contract! 10. While Seller has no reason to suspect any environmental issues, Seller has not had any environmental studies conducted and makes no warranty as to conditions. 11. Removal of equipment sold separately from real estate: Successful bidders shall uninstall & remove equipment from the premises at their own risk and cost. Possession of the equipment shall be granted upon full payment as described above. Successful buyers of machinery or equipment must remove their items by May 31, 2017, however in no instance shall removal begin prior to payment in full. Any extensions beyond May 31, 2017 will be subject to the approval and conditions set by the new owner of the real estate. Buyer shall leave the building and premises intact and in the same condition as which it was found. 12. Buyers that will be removing equipment will be required to sign a release of liability and provide Seller and Auctioneer proof of adequate insurance covering their workers/employees &/or those of subcontractors. 13. Auction Administrative Fee: In the event a winning bidder fails to comply with the terms and conditions, or fails to return the real estate contract with the deposit as required herein, the winning bidder will be charged an administrative fee of $2,500.00 on the credit card provided at registration. Additional default remedies as allowed at law, as provided for in the terms & conditions herein, or in the contract for sale, are reserved by Seller and J.R. Dixon Auction & Realty, LLC. All administrative fees are non-refundable. 14. Auctioneer is acting as agent of the Seller only! 15. All property offered subject to prior sale. Seller reserves the right to cancel the auction at anytime, withdraw any item from the auction, or extend bidding on any or all lots. All final bids are subject to Seller confirmation.